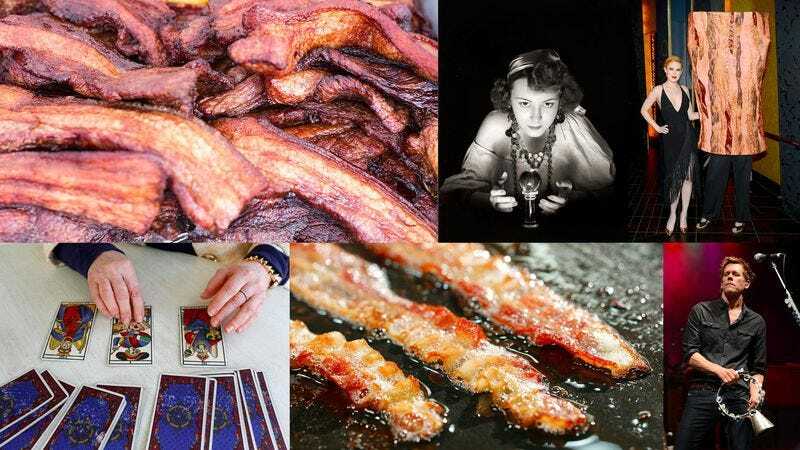 What do your bacon preferences say about your personality? Humans are cursed to wander this Earth, fruitlessly searching for meaning where there often is none. But for our most pressing questions, we turn to the porcine stars. Much like with tea leaves, we can prognosticate your future with the help of nature’s greatest meat product: bacon. Do you wonder what your bacon consumption says about you? Let astrology assist you in making sense of all your cured meat preferences. Are you worthy of finding love? Yes. Yes, you are. You will meet people this month that will attempt to make you think otherwise, but those people will definitely die soon. Now that Venus is in the first house, expect to receive compliments on your new look—enjoy them! This is your world and we’re all just living in it! Your existential angst is intimidating to others, but those close to you know that it’s all a façade. Vulnerability is a good look on you, so seek out situations that will force you out of your comfort zone. Maybe a yoga class? Or capoeira? Don’t worry about funding your new passion project—forecasts indicate a 50 percent chance of financial windfall. Friends admire your commitment to activism and fighting the good fight, but avoid jumping onto your soapbox for every perceived slight. When you prioritize principles over relationships, you’ll discover that friendships soon turn fowl. Tonight: Stay home and think about what you’ve done. Don’t listen to the naysayers—you’re not lazy, just pragmatic. You’ll receive some backlash at work for your unconventional methods, but rest easy in the knowledge that history will prove you right. Stay grounded and look for opportunities to clean up after yourself. Messes you made in the past may come back to haunt you in the future. Also, paper towels are your friend. Ooh la la! Tu es le meilleur! Tu veux sortir avec moi? You’re not everyone’s cup of tea, but you have a small circle of fiercely loyal followers. They appreciate your willingness to dig deep and get your hands dirty, but sometimes you take it too far. Now is not that time for grand gestures or impulsive decisions—wait until the next full moon to burn it all down. The A.V. Club’s coverage of all things bacon is brought to you by the makers of HORMEL® BLACK LABEL® Bacon.